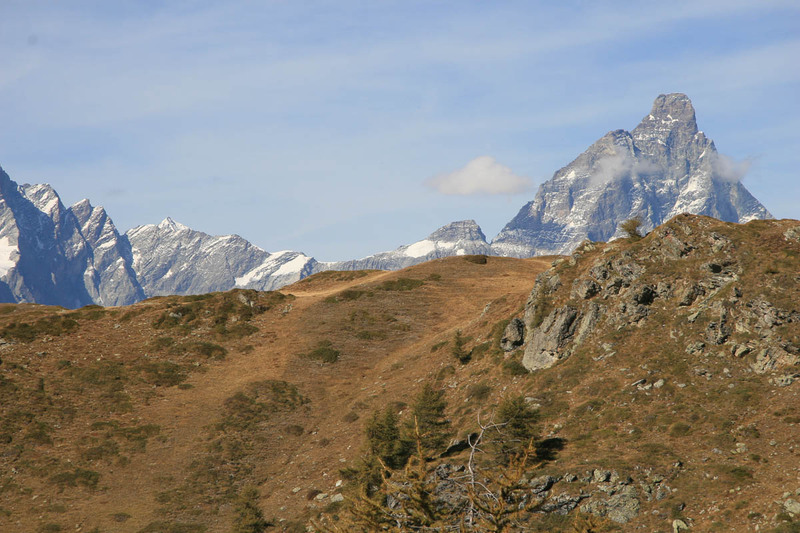 From mid-july to end of september. 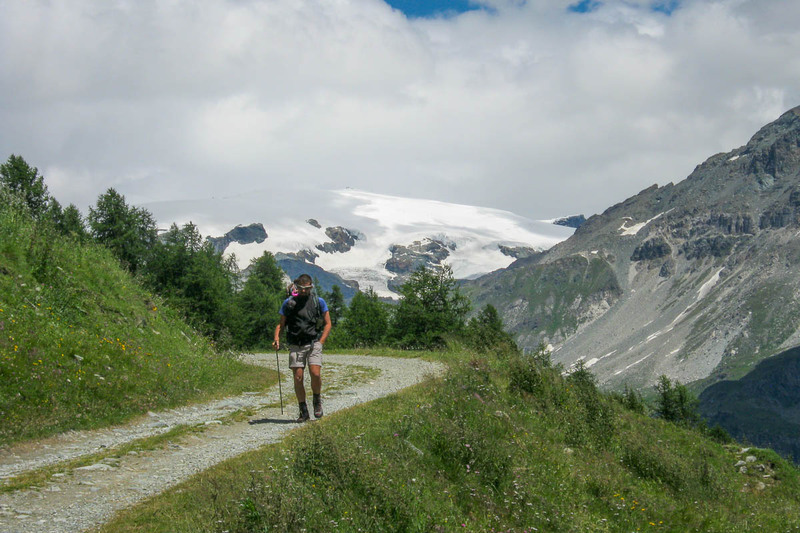 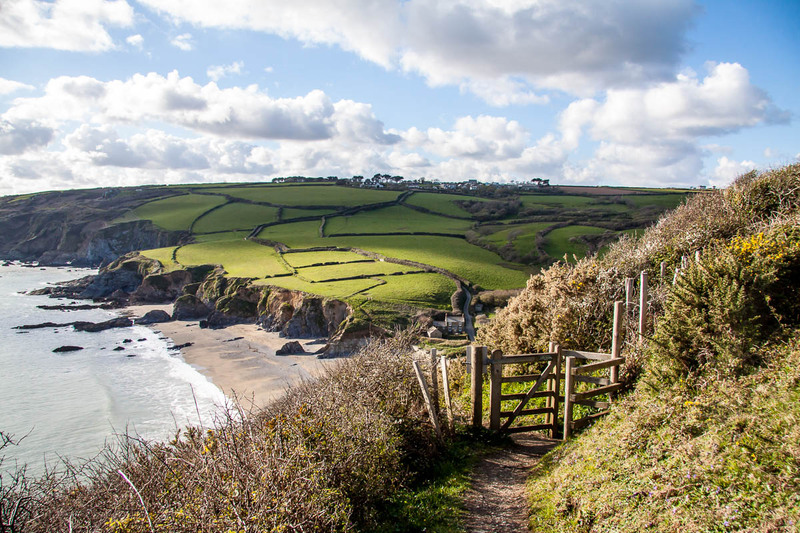 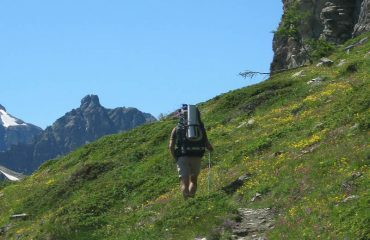 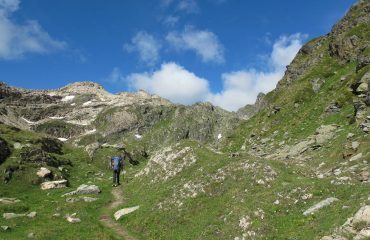 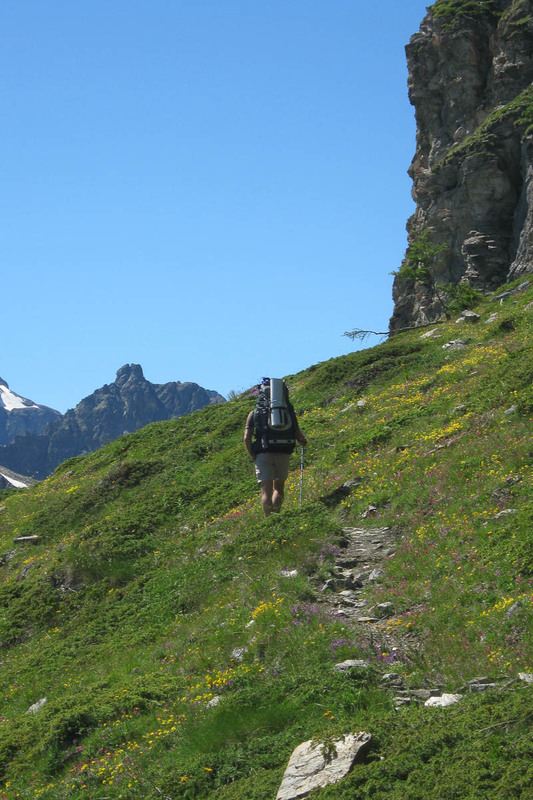 A two and a half day trekking trip along one of the most fascinating parts of the high road track n°1,. 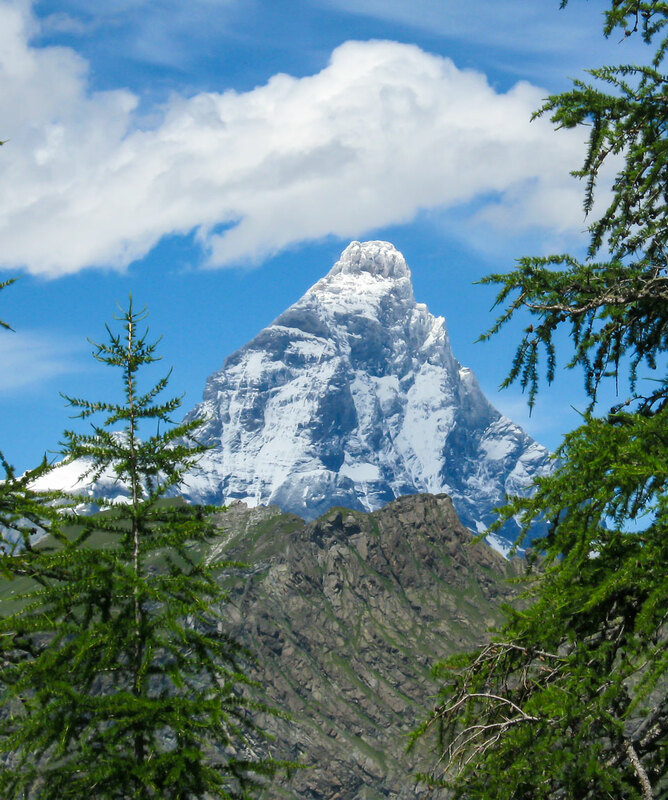 While crossing mountain passes, alpine lakes and woods we will be surrounded by the magic of the high altitude and the inhabitants of these places.The Matterhorn will be our host for most of the time with its steep walls rich in history and dreams of vertical adventures. 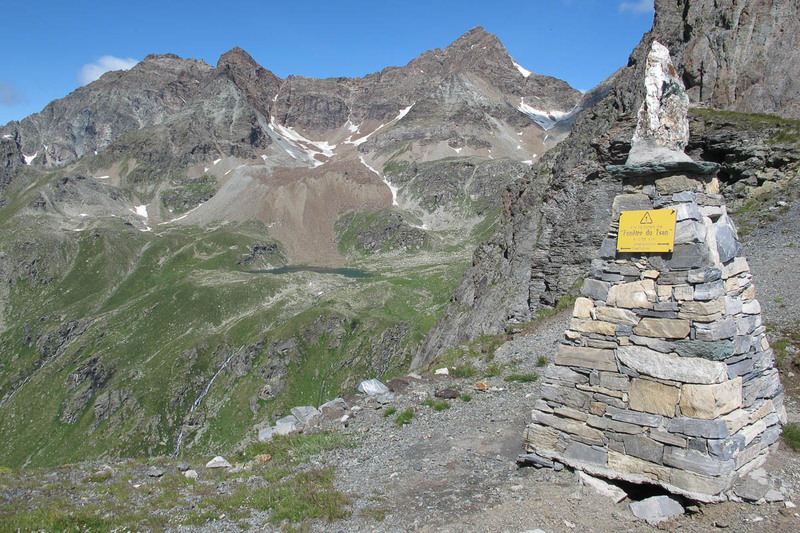 We will arrive at Rifugio Magià on the first evening after an easy walk, just right to warm our muscles ready for what awaits on the following day. This beautiful rifugio, recently restored welcomes us with typical food of the Valle d’Aosta. 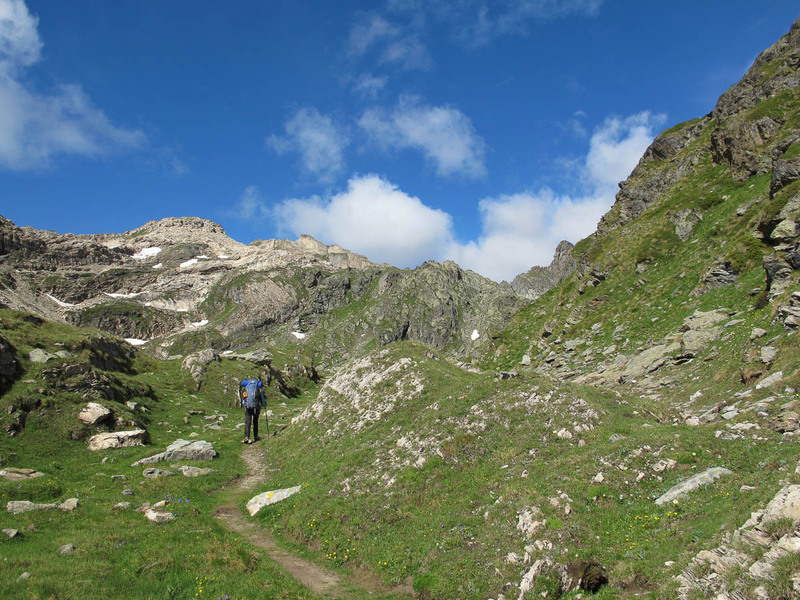 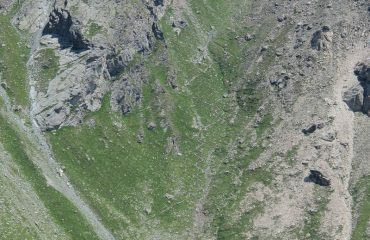 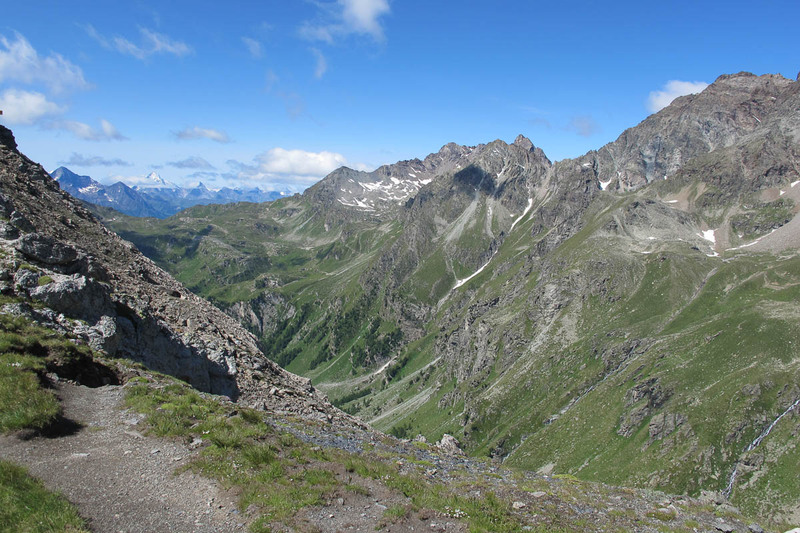 Next morning, after an early breakfast we will start out on our climb towards the Fenetre de Tsan, a pass at 2736m that separates the Vallone of Saint Berthelemy from Valtournenche. 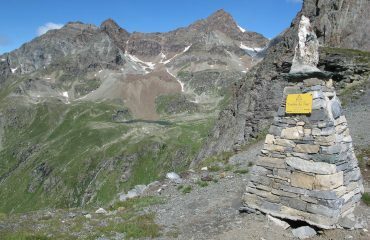 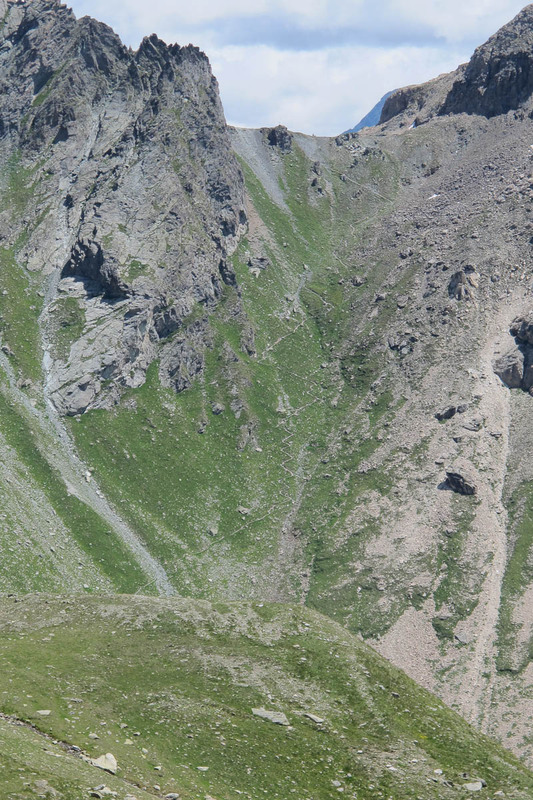 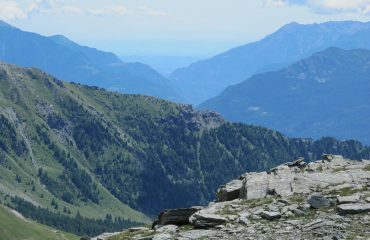 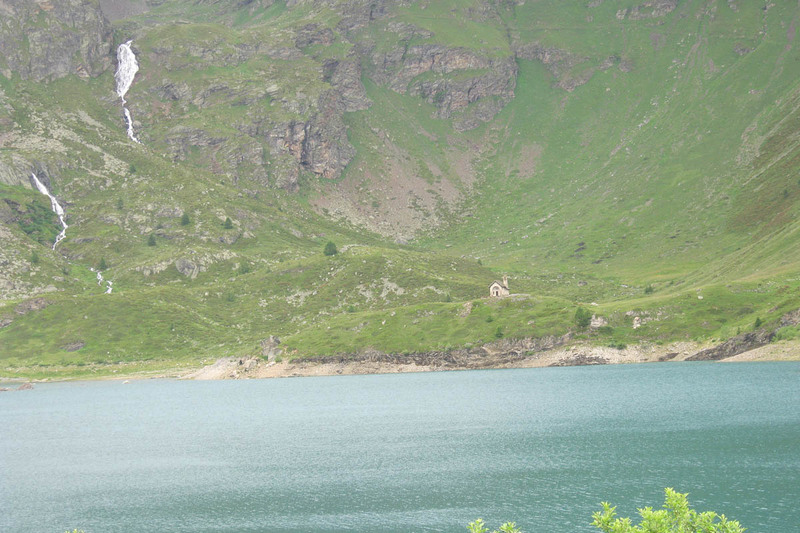 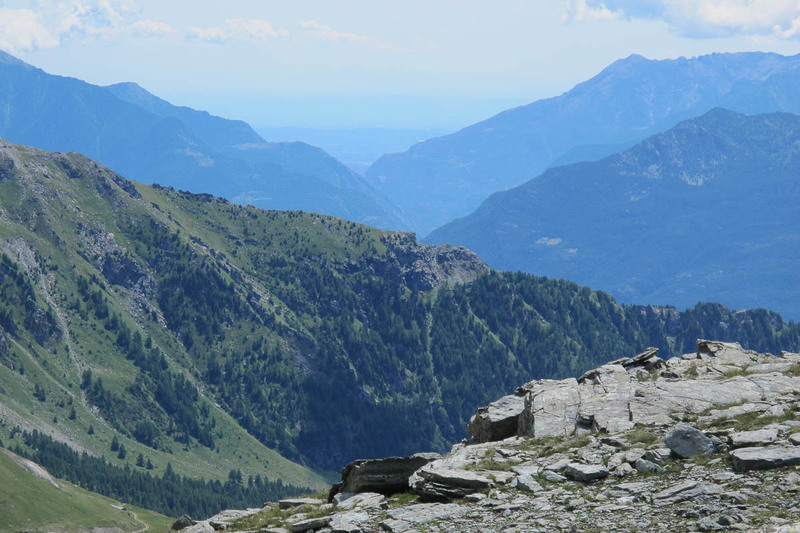 From here we have an incredible view over most of the Valle d’Aosta; below us Lake Tsan with its refuge. 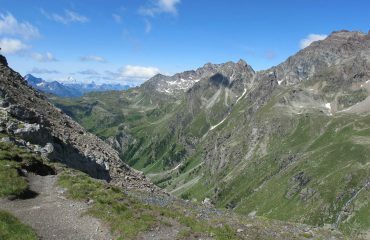 The descent among snowy valleys and stony ground could hold a pleasant, surprise meeting with ptarmigans, ermines and chamois. 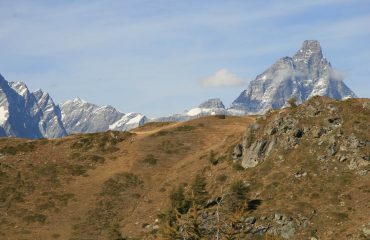 Marmots with their characteristic whistles will accompany us all day and distract us from the noise of our hiking boots. 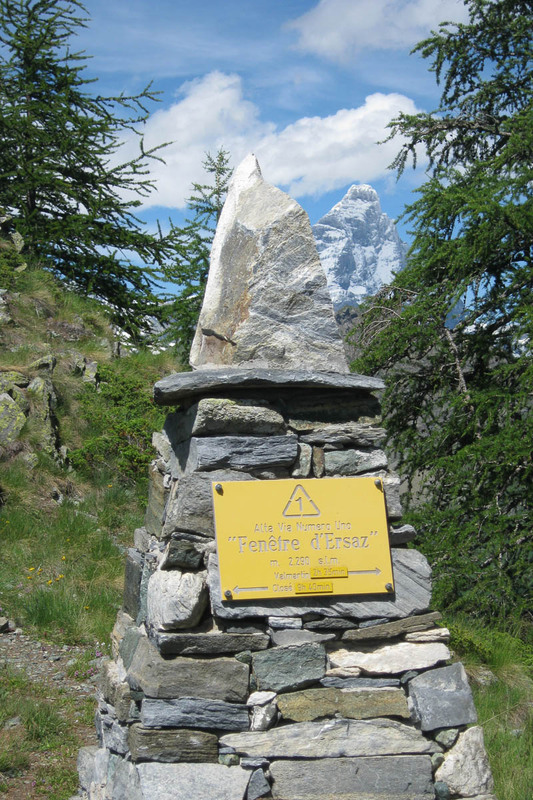 On arrival at Fenetrè d’Ersa The Matterhorn with its immensely perfect shape, will magically appear in front of us. 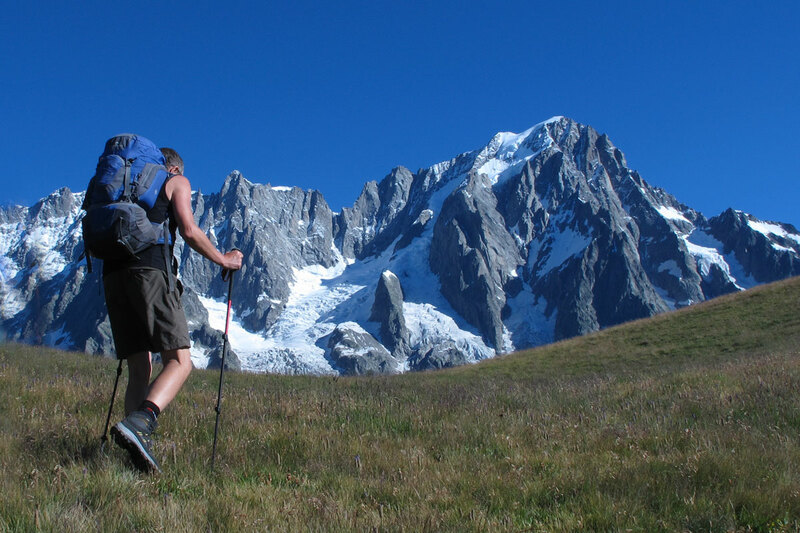 This mountain is famous all over the world and is one of the most desired by mountain climbers. 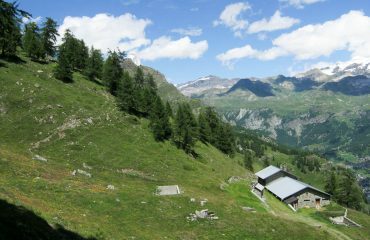 Before arriving at Rifugio Barmasse towards the end of the day , there remains one last easy climb among larch woods and important damp areas. 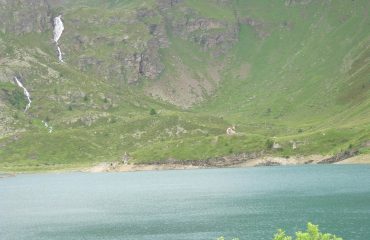 This little refuge lies near the artificial lake Cignana, well-known for its crystal clear waters but much less known for the micro-diamonds hidden on the water bed. Refreshed and rested we depart on the last day for the Matterhorn , getting more emotional sights on the Carrel balcony; an easy track which takes us to the foot of the Matterhorn chain. 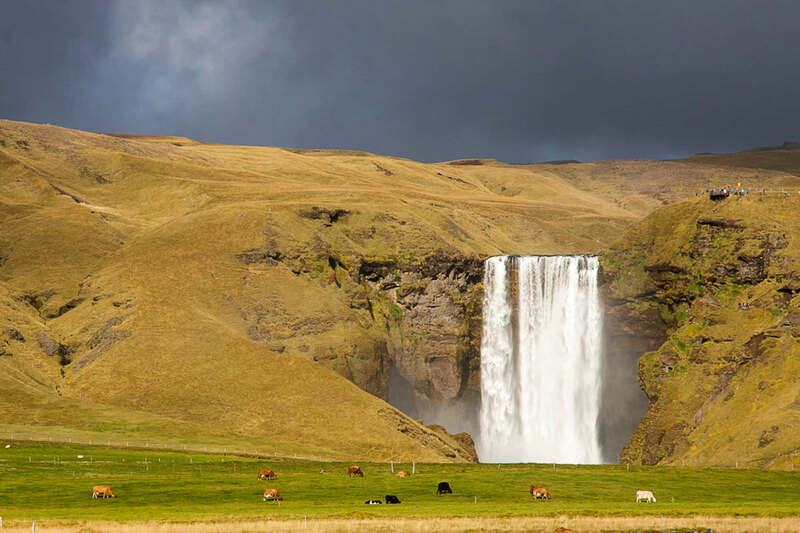 The spectacular view is unforgettable. 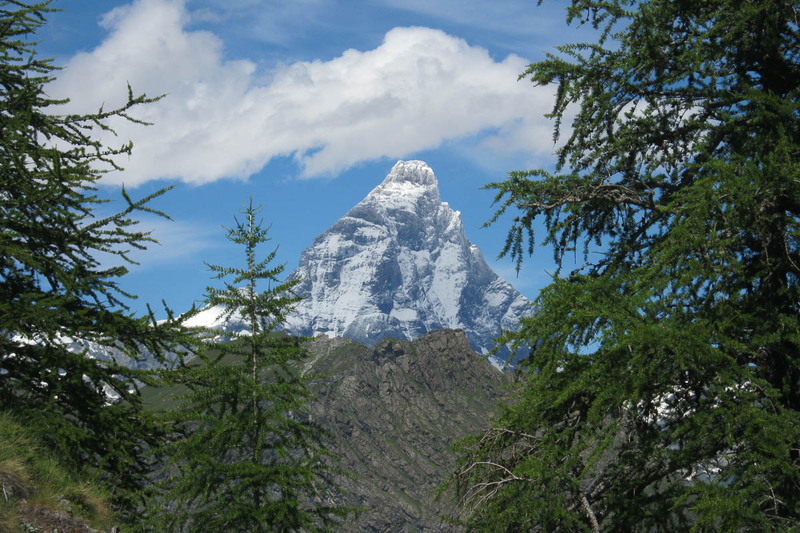 The magical power and respect transmitted by this mountain is unique! 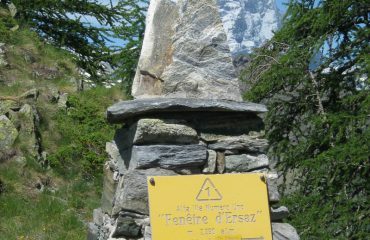 All that remains to do on our arrival is to get on the private mini bus that takes us back to our departure point and our cars.